Our exclusive body treatment combines aromatherapy, a detoxifying body masque and massage to soothe your body and mind. This therapy session lasts approximately 75 minutes. This treatment makes a great gift as well! Also, Tuesdays and Thursdays in December* our Rejuvenating Glycolic Acid Peels are available for $50 a treatment! ($40 off our normal price.) 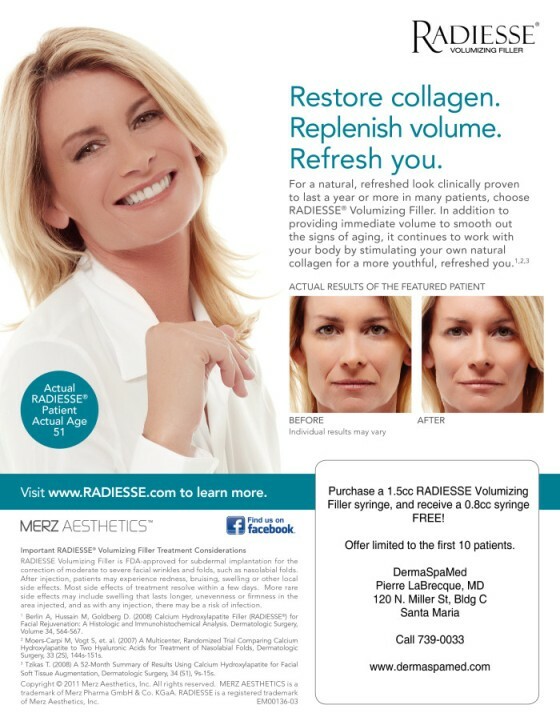 These rejuvenating peels are part of a comprehensive treatment program for younger, healthier looking skin. 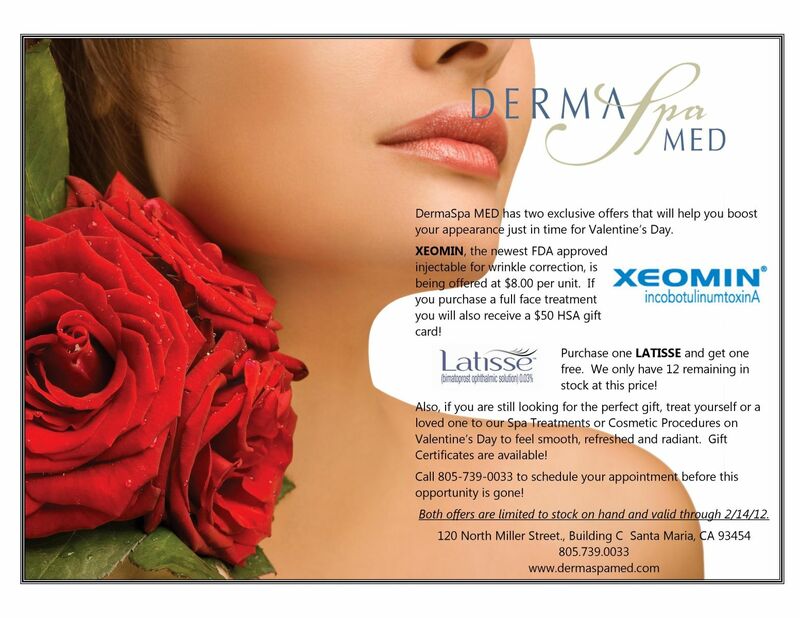 Call today at 805.739.0033 to take advantage of these specials or request an appointment online! Will be on sale for $7.00 per unit. 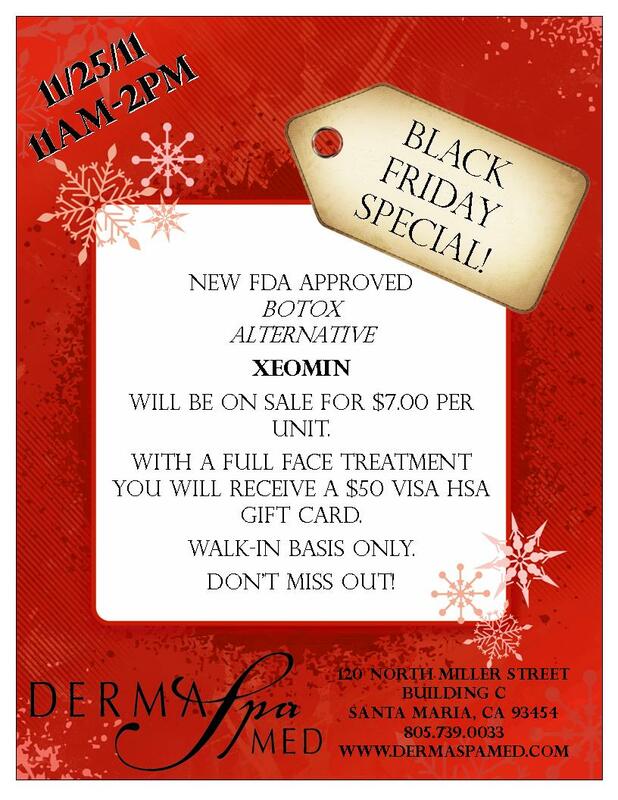 With a full face treatment you will receive a $50 VISA HSA Gift Card.